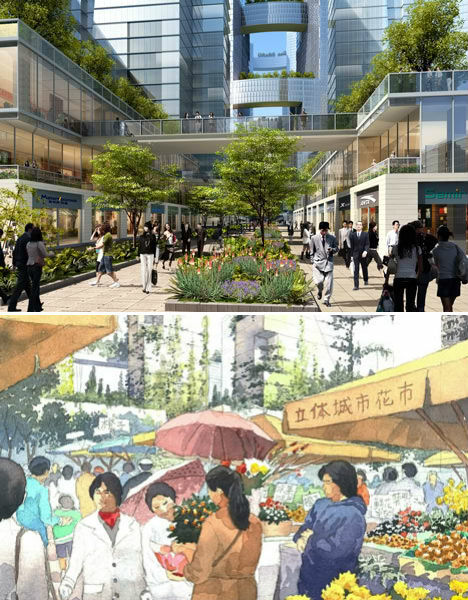 China is creating a totally car-free city from scratch, building a new urban center around a high-rise core housing 80,000 people. 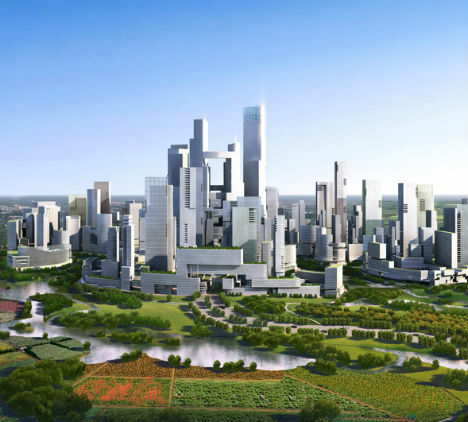 Great City, planned for a rural area outside Chengdu, will be entirely walkable and surrounded by green space. Getting from the center to the outer ring of parks on foot takes just ten minutes. Other nearby urban centers will be accessible via mass transit. The city will use 48% less energy and 58% less water than a more conventional city of the same size, and will produce 89% less landfill waste. The world’s most sustainable metropolis – with no cars or skyscrapers allowed – is currently under construction in the desert outside Abu Dhabi. 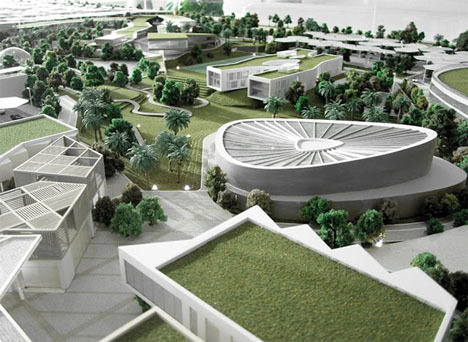 Masdar, the world’s first zero-carbon, zero waste city, will feature a public rapid transit system in place of personal automobiles, and will be fueled by solar, wind and geothermal power. 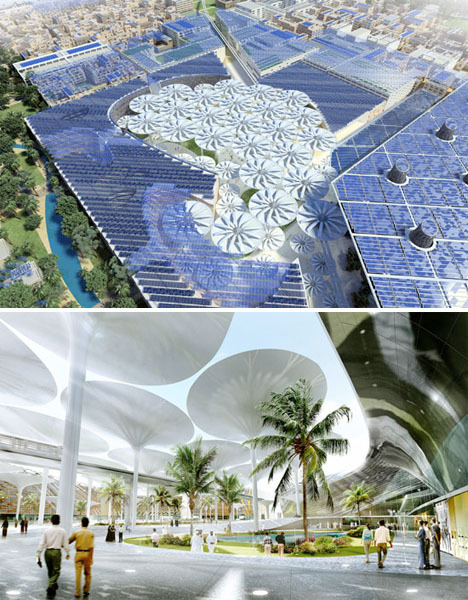 Giant ‘sunflower umbrellas’ designed for the city center will provide movable shade during the day, store heat, and then close and release heat at night. 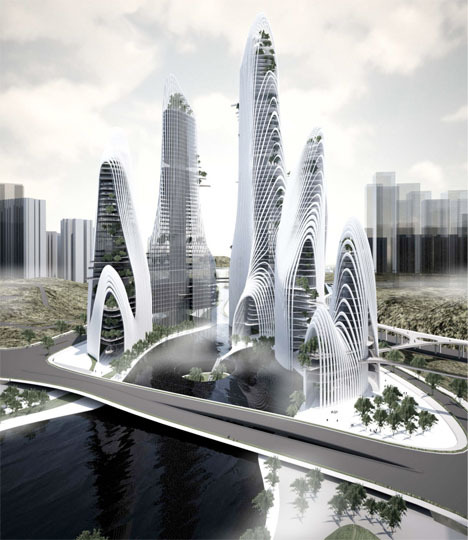 MAD Architects envisions Shan-Shui City as the city of the future. 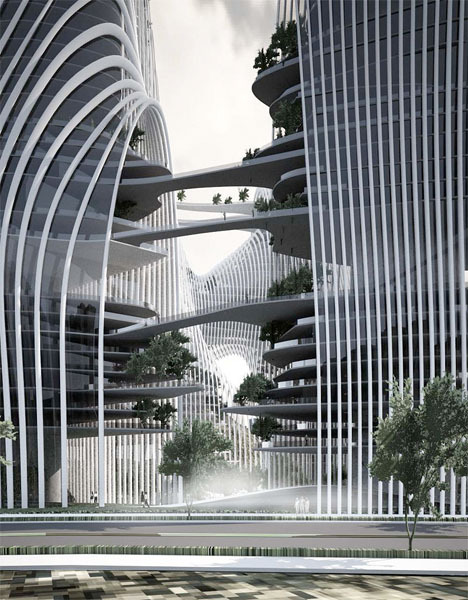 Inspired by the worship of mountains and water in China, the concept is made up of large-scale mixed-use buildings with lots of public spaces where people can gather, communicate and enjoy nature. 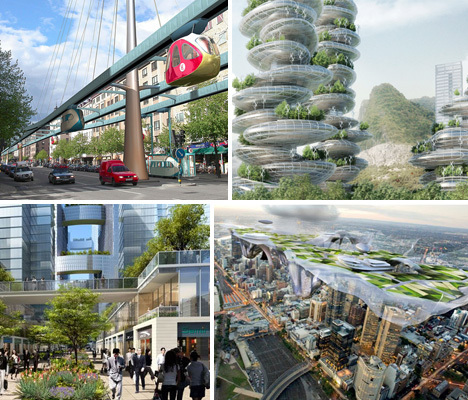 High-density living and making all necessary resources readily available within easy walking or public transit distance is a far more sustainable way of building a city than the current trend of “boxes spreading all over,” say the architects. The concept makes access to nature just as vital as access to schools, health care and work. 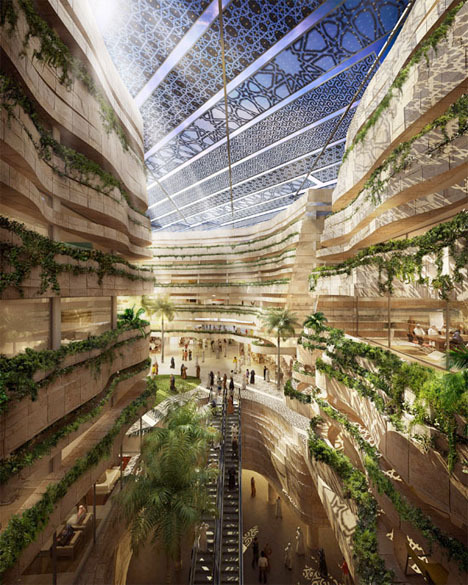 Baharash Architecture proposes a sustainable Dubai incorporating “the best practices in environmental building technologies,” with a strong focus on community connections and social interaction in green spaces. 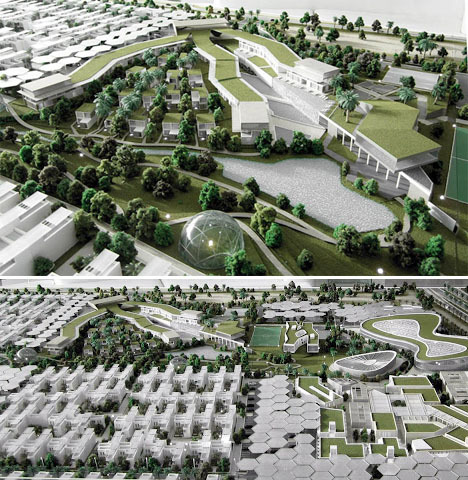 The design consists of 550 residential villas, organic farms, educational facilities and 600,000 square feet of solar panels. The city will produce 50 percent of its own energy through solar power and offset its carbon footprint via mass transit.